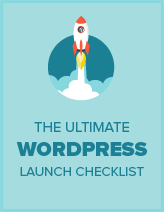 Are you looking for a way to put your WordPress into maintenance mode? While there’s probably a plugin for this, we have created a quick code snippet that you can use to put your WordPress site to maintenance mode without plugin. Excellent, it work as a charm, there is one little typo tho, it should say maintenance_mode rather than maintennce_mode. I am really greatly this functionality works great with no plugin. I gave the code a go on a test site and it worked beautifully. So instead of seeing the default page title, I had “Site Under Maintenance” which I think it a lot better than seeing the “Error” word. The first argument (the message part) also accepts HTML, so you can add links and formatting if you’d like. Just wanted to share, and thank you so much Saha! Probably the best no-plugin solution. Also much better than mucking around with root folders and hidden files as other tutorials touch on. I usually prefer using custom code over plugins whenever I can and I really like this one! looking for since I don’t want to install maintenance plugin. How can I add a login box for admins? This is a nice code snippet, but it’s not really user friendly as user will have to edit functions file. I have taken the above as a basis and creating my own admin page with select dropdowns and textarea for information. can you use this and make it load a custom maintenance page within the theme? I’m sure you can, I use wp_die() and that kills the execution and displays and error message. But you could have the snippet redirect or since it hijacks the get_header you could give it HTML for a special page you wish to load. maintenance or maintenace? is it typing error or it’s just me as another WordPress newbie? Kevin, I loved you old wp theme, can you send me it? The last time I tried the built in maintenance mode I was blocked from the admin too, even with an admin account. Will this still be the case? if the user can’t edit themes or is not logged in then display the maintenance mode message. This should work the same way for any plug-in. I should note that if you ever get stuck you can always login with FTP and delete the plug-in or in the case of this snippet download and remove it from functions.php and upload the updated functions.php if you have any problems.